Tattoos have been popular for thousands of years. All around the world, you can find people with tattoos and this widespread popularity is what makes the tattoo world so varied in design and styles. Where did the tattoo practice begin? Even as early as the Neolithic period (Stone Age), tattoos were found in Eurasia. 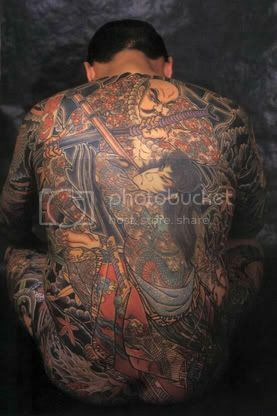 Tattoos in Japan were found as many as ten thousand years ago. After the cuts healed, the remaining color made up their tattoos. These early tattoos most likely marked some rite of passage that the person had gone through. Maori chiefs used their facial tattoo that described their identification as their signature on official documents. This early use of tattoos to mark rites of passage or for identification has grown into more of an art form today. Tattoo artists today are known for their intricate artwork that they apply to the body. Many of these artists have fine art or technical art training, which serves them well in creating body art. Tattoos may be chosen to mark a rite of passage or for identification even today, but tattoos found today are normally more intricate and colorful than the early tattoos. Due to the widespread exposure to the tattoo world via television and other media, tattooing has seen an increased popularity in the United States and other countries. This popularity has in turn caused the choices of tattoos and tattoo shops to increase as well. This dedication to detailing and beauty has made tattooing even more popular with people.